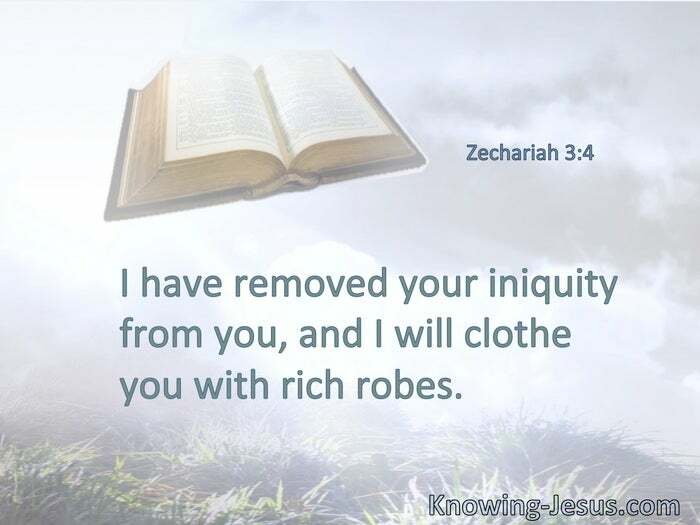 I have removed your iniquity from you, and I will clothe you with rich robes. Blessed is he whose transgression is forgiven, whose sin is covered. § We are all like an unclean thing. § I know that in me (that is, in my flesh) nothing good dwells; for to will is present with me, but how to perform what is good I do not find. As many of you as were baptized into Christ have put on Christ. § You have put off the old man with his deeds, and have put on the new man who is renewed in knowledge according to the image of Him who created him. 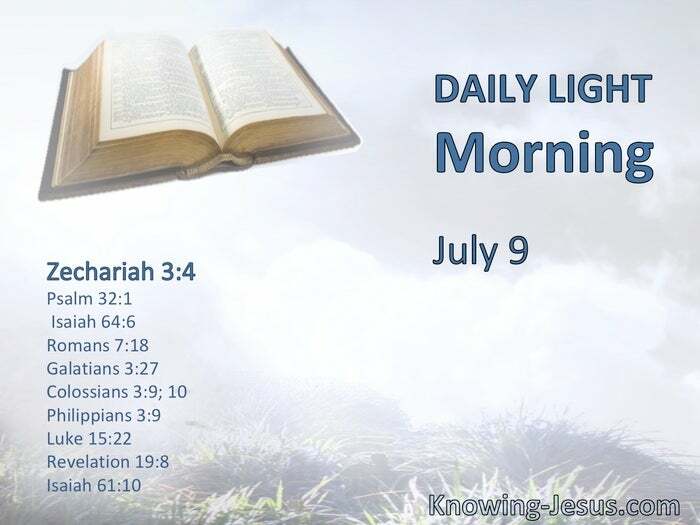 § Not having my own righteousness, which is from the law, but … the righteousness which is from God by faith. Bring out the best robe and put it on him. § The fine linen is the righteous acts of the saints. § I will greatly rejoice in the Lord, my soul shall be joyful in my God; for He has clothed me with the garments of salvation, He has covered me with the robe of righteousness.